Look, not all babies are cute. Unfortunately for the latest baby critter born at the Denver Zoo, Tonks the aye-aye is simply one of those less fortunate in the beauty department. Her beady little eyes are yellow. Her face is mostly bald. And, my gosh, those skeletal fingers. In some cultures in the animal’s native Madagascar, the appearance of an aye-aye is an omen of evil. What do you think, is Tonks cute or ugly? It seems only right for a baby whose parents are named Bellatrix and Smeagol. Tangentially related: We were discussing feet and toes at work one day (obviously it was a really slow day) and a co-worker referred to the condition where the second toe extends beyond the big toe as "Aye-Aye Toes". And that is why you never drink until closing time. 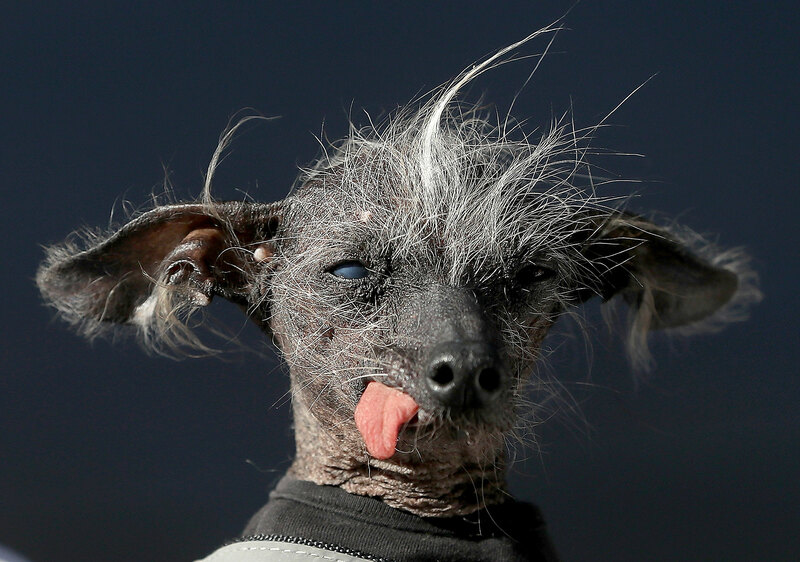 Remember the world's ugliest dog?